What a beautiful July night to enjoy kayaking, swimming and a cookout at Lake Groton's Boulder Beach. A huge thank you to the Vermont Mountaineers for donating tickets for this fun summer group activity. Thanks to Positive Pie Plainfield for the free slices before the game! What a great afternoon of bowling and Pizza at Twin City Lanes in Berlin. On November 19th mentees came together after school to cook an asian inspired thank you dinner. Mentors arrived to a delicious dinner and mini concert. We really appreciate our mentors for so many reason... it was nice to be able to show them with a delicious meal! On July 28th community mentors, mentees and families came together to swim, eat and boat together. A huge thank you to Dave of Vermont Veggie Burger for donating his delicious veggie burgers for us to share. Kayaking and warm soup in the fall is an exciting way to celebrate our great community in the Groton Forest. The crisp fall air brought us together to make cider, play frisbee golf and enjoy a warm pasta dinner. A wonderful way to celebrate and bring our community together. 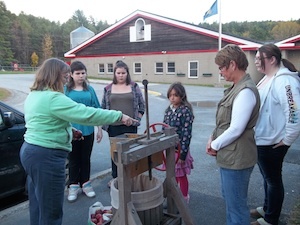 Thank you Onion River Campground for hosting our cider pressing event in October. We enjoyed the beautiful trails, view and tent. Thanks to Positive Pie for donating pizza to this event. What a great community we live in! On April 15th we met up at The Skinny Pancake to use our mentor discount card and attend a workshop on relationships and working together. 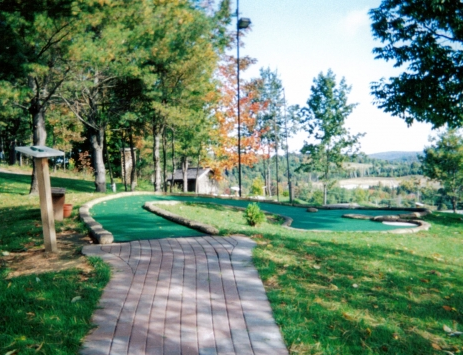 To celebrate the end of summer we enjoyed a pizza dinner and game of mini-golf at Sugar Ridge RV park in Danville. Mentors, Mentees and Families march together in Plainfield's annual 'Old Home Day' parade in support of TTMP. It's always a great community event! On March 8th we held an ice skating event at the Plainfield Rec Field. We enjoyed some delicious Positive Pie pizza, a tag game on skates and a hockey game. Thanks to mentor pair Stuart and Matt for inspiring this event. December was a great time to bring everyone together on a cold night at Mentor Kenzie's house to make pizzas and play games! 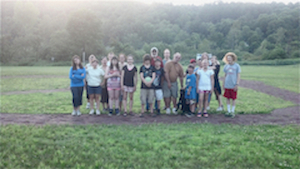 ​Our mentee, Avery, cooked a taco dinner for our mentoring community, followed by a competitive game of kickball. Mentees insisted: mentors against the mentees. The mentors won, 10-7!